You are here: Home / Being Human / Better Being / Are you making the time to breathe? For so many of us, this is life. Day in and day out, we scurry non-stop from one task to another. We fill our schedules to capacity, and then pack on more. Our time at work is hectic and fully-loaded. Before and after work we cram in as many events, social activities, meet-ups, and to do’s as we come across. We’ve got so much loaded into each second, we don’t give ourselves a moment to breathe. The broader culture treats this busyness as a metric of success, as a sign of productivity, and a way of maximizing our time. We brag about how little time we have, how little we sleep, how we can only function after downing a bunch of coffee, and how much we have to do. As a broader society, we look down on rest, free time, relaxation, and see it as laziness, a waste, and a type of character flaw. In addition to — and partly as a result of — these broader perspectives, we’ve lost track of what to do with downtime. So, we pack our lives with as much as possible, avoiding the unfamiliar discomfort of not having something that must be done. In the rare moments when we have a gap, we get anxious about not doing something, so fill it by scrolling through social media, the news, and by watching mind-numbing television. In part due to our relationship with free-time and downtime, much of society suffers from depression, anxiety, obesity, adrenal fatigue, and numerous other maladies. Life doesn’t have to be so jam-packed, so hard, or so tiring though. In fact, it really shouldn’t be that crammed and overloaded with activities and to-do’s. Life should be an enjoyable, pleasurable experience, not a brutal test of how much we can produce, attend, and endure. Downtime and free-time isn’t a bad thing, it’s something great to savor and explore. It’s a chance to tune into life and to explore our experience in new and amazing ways. Free-time isn’t a signal that you aren’t needed or worth as much as others. It doesn’t mean you aren’t a productive and useful member of society. Rest, downtime, and free-time indicates a balanced approach to living, a level of self-control, and that you value yourself on a deeper level — something that must be done before you can truly value others. Downtime and free-time doesn’t mean that you aren’t maximizing your time, or that you are some how missing out; quite the opposite, really. Enjoying downtime, getting in touch with space and breathing room is an important part of living well, living balanced, and in getting the most out of the few precious moments we have in this life. We actually miss out more on life when we overstuff it with things to do since this pulls us out of really being in each moment and feeling the life that is around us. When we overpack life, we get caught up in rushing from one thing to another, always thinking about what’s coming next or what we might miss. We shift into autopilot, try to move as quickly from one thing to the next, and we burn ourselves out losing our sharpness and presence. We lose out on the time to play, to relax, and to discover the unexpected and unknown. Take a moment to pause long enough to think about it, and it becomes clear that filling our lives to the brim and beyond with activities isn’t the way to optimize our existence. Recognize you do have control over much of this situation though. Start by controlling the extra things you take on. Stop adding more to your schedule, and start replacing things in it with the items that will serve you better. Even when something in you schedule is good, if you can replace it with something better, do it. Add space into your calendar, take your estimates to complete tasks and add in cushions in case something runs long. It’s better to have extra downtime than not enough time. Give yourself space; give yourself room to breathe. Yes, you may have to give up some “ideal” do-everything scenarios, yet if you’re life experience and happiness improves as a result, then it’s worth it. Additionally, when you allow proper time and space for rest and for each thing you take on, then the quality of what you do improves. When you give space, the experience you have is stronger, and what you deliver to others is better as well. In essence, quality outweighs quantity, and giving yourself space delivers greater quality to you and those around you. Life isn’t about doing everything. It isn’t about achieving every possible goal under the sun. Life is about making the most of the time we have, and that means being the most present and most happy we can be in each moment. While it’s something so many of us suffer from, a consistently over-packed schedule, sleep deprivation, and a lack of downtime aren’t indicators of great worth, nor are they something brag-worthy. Those things are indicators of an illness and unbalanced life, something which is detrimental, and needs to be addressed. They are problems which lead to greater problems in the long run. That means we may have to let go of some artificial deadlines, goals, and targets in order to make room to breathe and to make the most of what we are doing and the life we have. Think quality experience instead of quantity of experiences. While so many of us tend to be overly busy, and the broader culture sees that as a good thing, it’s actually hurting us, and isn’t necessary. You can see greater happiness, satisfaction, and quality when you maximize your experience instead of the number of things you take on. Start saying “no” to things when your schedule is filled. 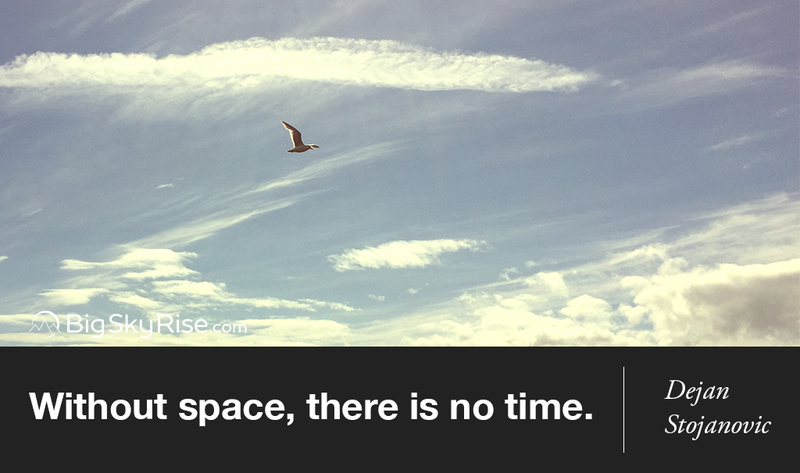 Give yourself extra time and space. Replace good activities with great ones. Watching some TV is fine, just realize that doing so isn’t as refreshing to your body and mind as it might seem from the outside. Watching TV prevents your body and brain from reaching a full state of relaxation and rejuvenation. So, when it comes to the topic of downtime and free-time, it’s important to realize that also means stepping away from the television and other electronic devices. The inspiration for this post comes from my own struggles with trying to take on too much, not getting enough sleep, and overpacking my calendar. When I maintain the discipline to keep free-time in my life, I see greater productivity, greater happiness, and a more positive impact on the world around me. So, I write this not as a judgement of those who are too busy in life, instead it’s encouragement and a reminder to treat yourself well, and to help us all by reminding society that downtime and free-time are good things for everyone. Know anyone who might enjoy or benefit from this post? Please share it.